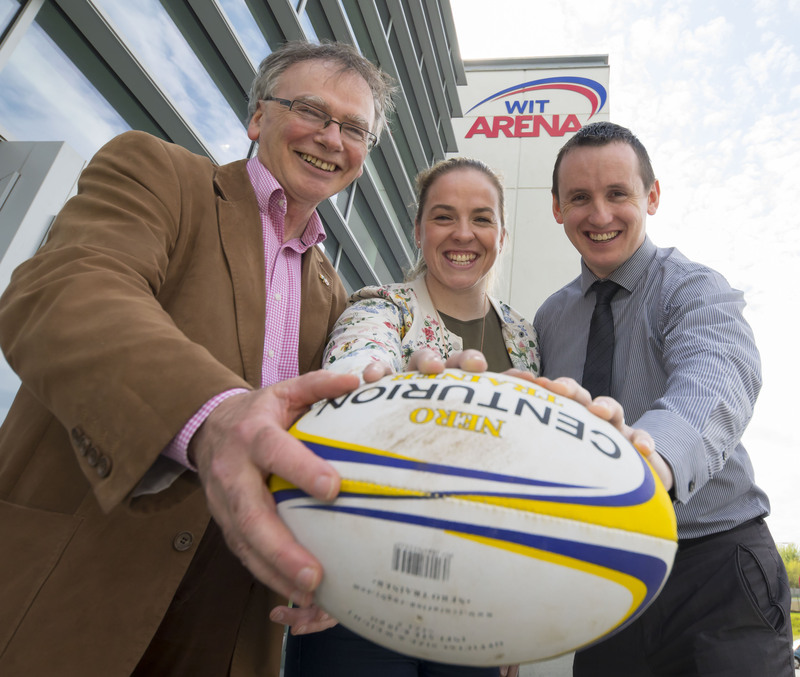 BA (Hons) in Exercise & Health Studies graduate at WIT and captain of the Irish Women’s Rugby team Niamh Briggs, was today announced as the WIT Arena’s first Sporting Ambassador. Waterford native Niamh was invited to the WIT Arena where she was officially announced as the WIT Arena’s first Sporting Ambassador. Briggs presented President of WIT Professor Willie Donnelly and WIT Arena Manager John Windle with one of her international jerseys to mark the occasion. Since graduating from WIT, Niamh found a career with An Garda Siochana and is currently rehabilitating from an injury that kept her out of the recent Six Nations. The captain’s main focus is preparation for the Women’s Rugby World Cup which will be held in Ireland this August. “The facilities at the WIT Arena are fantastic and I am hugely proud to be their Sporting Ambassador, I am lucky to have top class facilities to use when I’m home” Niamh commented. This recognition means Niamh will have access to the state of the art facilities as well as highly qualified and experienced staff members who can assist her in every aspect of her sporting demands. Also speaking at the event was John Windle, who commended Niamh on her work so far as well as wishing her a speedy recovery in time for this summer’s World Cup.